I offer instruction on bansuri and Indian Classical Music at my residence in Los Angeles. Please contact me if your interested in bansuri lessons. I live in the Mt. Washington - Cypress Park area of Los Angeles, which is adjacent to Eagle Rock, Glassel Park, Silverlake, and nearby to the Chinatown part of downtown LA. Lessons are approximately 1 to 1 1/2 hours. Please contact me for the current cost of lessons. As there are some differences among existing gharanas (lineages) of bansuri, I would recommend reading the info and listening to the audio on my website of my grand-guru Pt. Pannalal Ghosh (creator of the long bansuri and first to perform Indian Classical music on bansuri), and audio and video of my own playing if you haven't done so already. Also of interest may be music I composed and performed for a short film and the trio I have with a colleague who plays sarod. Additionally, you can get a good idea of our style by checking the videos on Youtube of my principal teacher, Pt. Nityanand Haldipur, and his website. In addition to what may be called differences in interpretation of classical music, presentation, and aesthetic approaches among gharanas (lineages), our gharana employs bansuri with 7 finger holes, as invented by Pannalal Ghosh, which are considerably more difficult to master than the 6 hole bansuri played by most other gharanas. This is something requiring careful consideration before deciding to study this style of bansuri. In the interest of authenticity, a 7 hole bansuri is required for lessons. After listening to some of the examples above, I think you will have a better understanding of bansuri and will be able to make a more informed decision as to whether learning our style is something you want to pursue. The flute size that I generally start beginners on is a bansuri in the key of B, unless someone has very large hands and/or long fingers, in which case a bansuri in the key of A might be preferable. Please email me if you do have relatively large hands and long fingers, and I can send the links for a larger flute. 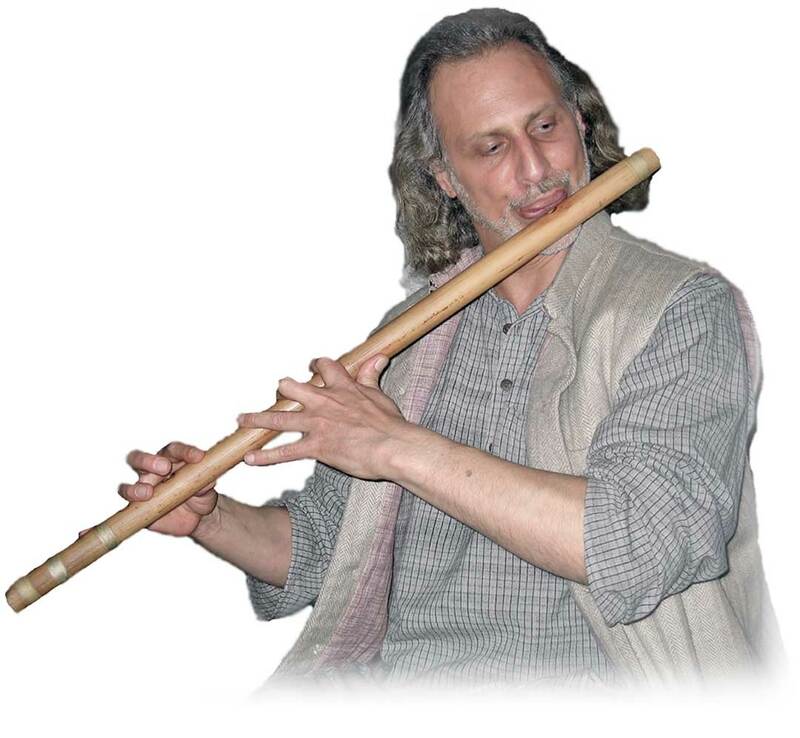 For many years I played and recommended flutes made by Jeff Whittier, though in the last few years since discovering Subash Thakurs' bansuri and their availability in the US, I also recommend his bansuri. Both are excellent craftsmen and make professional quality instruments. You can order a B bansuri made by either craftsman from Kirti Shah at One World Flutes. Kirti Shah is the proprietor and himself a student of bansuri, and packs the instruments well for shipping. Subhash Thakur Flute. B n. Bass. Tonic: B. Key: F #. 20" 0.7"
Jeff Whittier Flute. B. Bass. Tonic: B. Key: F#. 20"
Tonic: B. Key: F #. 21"	0.7"	Professional-Concert Flute B n. Bass. I would also recommend getting a case as well, as bansuri are easily smashed, cracked, sat upon, etc. Single Flute Case. Small. SFC-20. 20" 1.1"